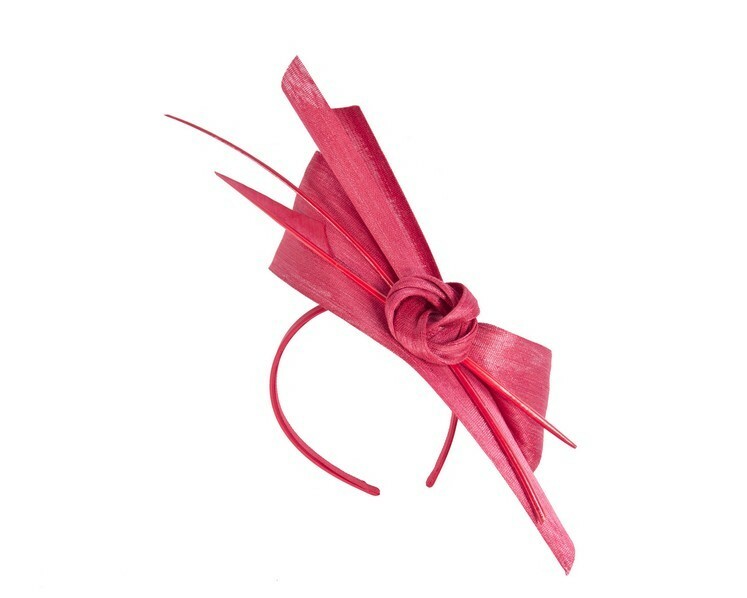 This elegant red fashion fascinator features unusual shape with two long feathers. 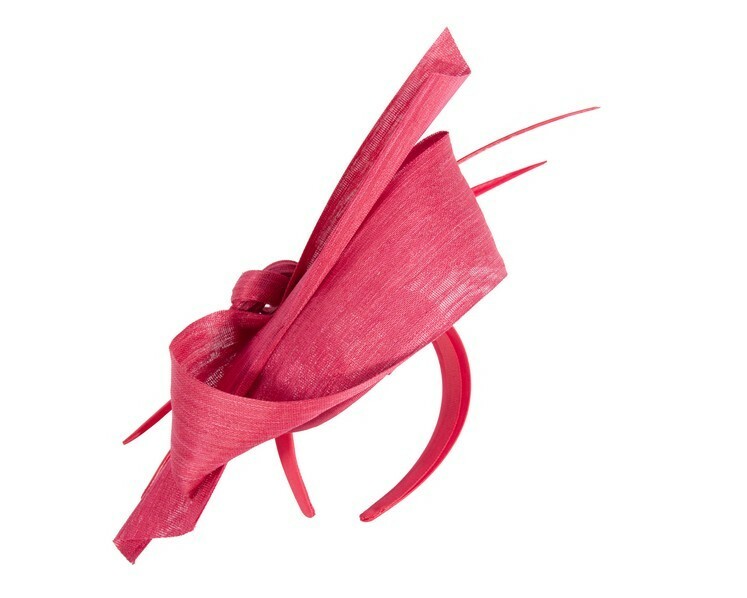 Hand made by us in Melbourne, this fascinator hat is mounted on the head band for comfortable wearing. 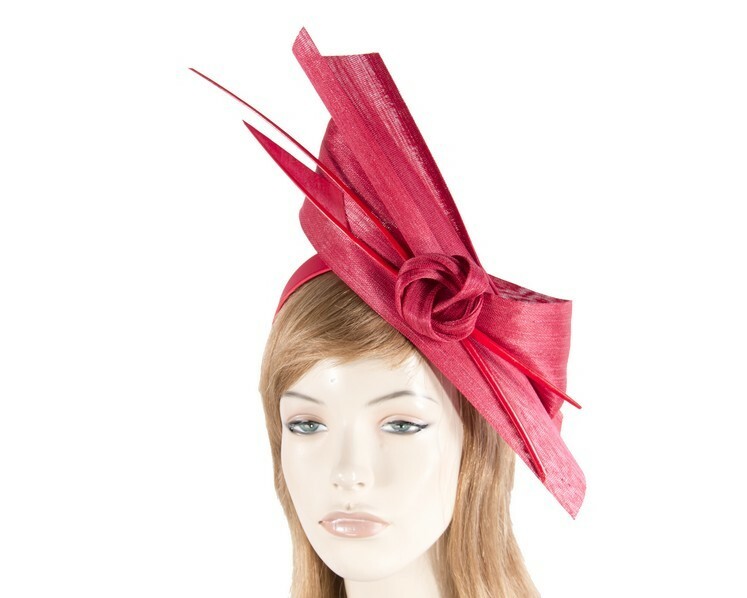 Please allow few days for creation of the hat.